It’s officially Fall! I’m already itching to start decorating for Christmas, but that’s not allowed until the day after Thanksgiving in our house. 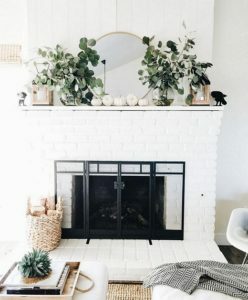 So, if you need some decorating to hold you over until then, it might be time to decorate your mantel. 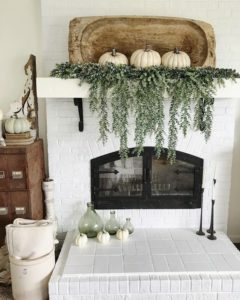 Simple Greenery + White Pumpkins: You can layer some greenery from your yard, a dough bowl (or another large wooden piece) and place white pumpkins in front. 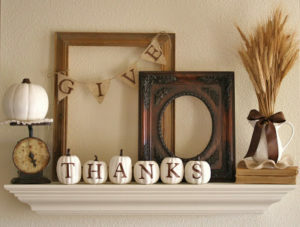 Thanks Mantel: Grab some empty frames and write “Thanks” (or use letter stickers) on little white pumpkins to achieve this Fall mantel look. 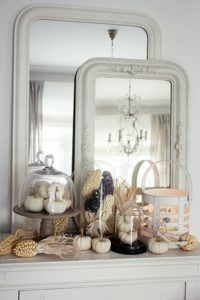 Layered Mantel: Here’s another take on the greenery and white pumpkins, but this has your greenery in vases. Head to Trader Joes for a good deal on Eucalyptus. 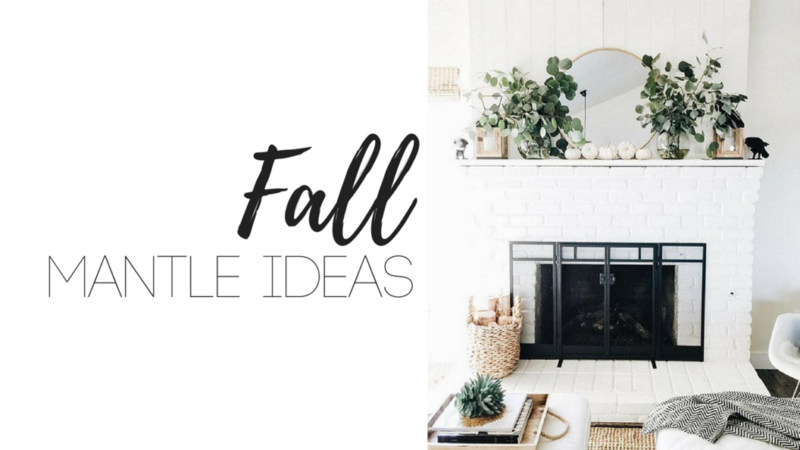 Mantle Containers: Gather up your Fall favorites like maize or tiny pumpkins and put them under a glass dome to add some height to your mantel display. 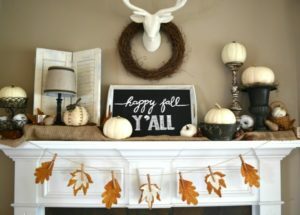 Leaf Mantel: How cute is this leaf garland? Make a cutout of the leaf on a book page and then layer it on top of the leaf.